Being injured in an auto accident can cause significant financial hardships for victims. Victims of car accidents often incur debts for medical bills and other costs associated with the accident and their injuries. In addition, many accident victims are unable to work because of their injuries, thereby intensifying the financial hardship. Unfortunately, some medical providers may expect payment for services before an auto accident claim is settled. The insurance provider for the other driver will not pay any medical costs until the claim is settled completely. However, settling a claim before the person reaches maximum medical improvement can result in a much smaller settlement. Therefore, what should you do if you are injured in an auto accident in Maryland, but you cannot afford to pay your medical bills? One option is to file your medical bills with your health insurance provider. However, you should be aware that your health insurance provider will expect to be reimbursed for any bills it pays related to the car accident. Fortunately, most health insurance providers will pay the medical bills related to an auto accident, according to the terms of your health insurance policy. For example, if you have a co-payment of 20 percent, your health insurance provider should pay 80 percent of the medical costs, leaving you to pay the remaining 20 percent out of pocket. Some medical providers might not require you to pay your portion of the bill if you sign an agreement or lien stating that you agree to pay the bill out of your insurance settlement or out of pocket once your insurance claim is settled. For accident victims who sustain traumatic injuries in the collision, they may reach their maximum out-of-pocket costs with their health insurance provider. In that case, the health insurance provider may pay 100 percent of the medical bills after the maximum out-of-pocket costs. The idea is that your health insurance provider will treat the medical bills associated with the auto accident as it would any other medical bill that you submit. However, when you settle your insurance claim, your health insurance company will exercise its subrogation rights regarding the claim. Subrogation rights give the health insurance company a lien on the proceeds from the settlement for an auto accident claim. The lien ensures that any medical expenses that the company pays on your behalf will be reimbursed to the health insurance company from the settlement proceeds before you receive any money for your claim. 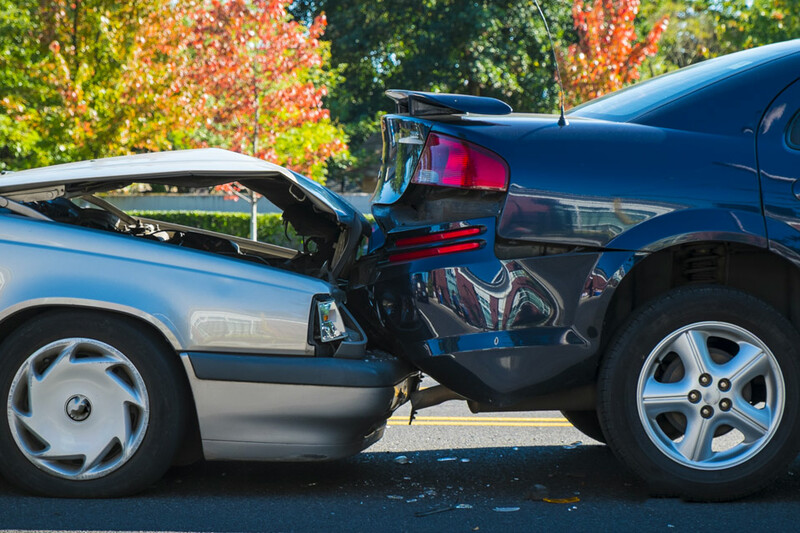 Many accident victims may feel that subrogation rights are unfair. The health insurance company paid the bill, so why do you need to pay back your health insurance provider from money that you should receive for your injuries and damages. The simple answer is that it is the law. When another driver causes an accident, you have a claim against that driver for damages, including the cost of medical care. When you file your accident claim, the medical bills you incurred because of the accident are included as financial damages. You are entitled to receive reimbursement of those costs as part of your settlement. However, your health insurance provider paid those medical bills for you. Therefore, it has a claim against the at-fault party for reimbursement of those payments. Health insurance companies are not going to get involved directly in auto accident litigation. Instead, the health insurance provider includes a subrogation clause within your health insurance contract to protect its right to reimbursement if you receive a settlement for the auto accident claim. As a condition of accepting health insurance benefits from the company, you agree that the company has a legal lien on any settlement proceeds from an at-fault party if the health insurance provider paid bills related to an injury caused by the at-fault party. Therefore, your attorney must pay back the health insurance company before he can disburse any settlement funds to you. Can You Negotiate a Subrogation Claim? Yes, our Maryland accident attorneys routinely negotiate with health insurance providers to decrease the amount of their subrogation claim. Health insurance companies are not required to negotiate subrogation claims; however, our attorneys offer compelling arguments why providers should accept reduced amounts for claims. It is especially important to negotiate the subrogation claim if your settlement is less than the total of your medical bills because the at-fault party’s insurance coverage did not cover all damages. Convincing a health insurance provider to accept a lesser amount can be difficult, but not impossible. Our Parkville auto accident attorneys offer a free, no-obligation case review so that you can get answers to your questions without worrying about how to pay for legal advice. We understand that you may be experiencing a financial hardship after an auto accident. We want to help you with your claim and not add to your stress. Contact Pinder Plotkin LLC by calling 410-661-9440 to schedule your free consultation with a Parkville auto accident lawyer.